Hammond Lumber Company will be initiating a company-wide effort to support Wreaths Across America in their mission to Remember the Fallen, Honor Those Who Serve, and Teach Our Children the Value of Freedom. Wreaths Across America, based in Columbia Falls, Maine, is a national nonprofit organization founded in 2007 by Maine businessman, Morrill Worcester. Each December, on National Wreaths Across America Day, this three-prong mission is carried out by coordinating wreath-laying ceremonies at Arlington National Cemetery, as well as at more than 1,400 additional locations in all 50 U.S. states, at sea and abroad. In 2017, 1,560,000 wreaths were laid at 1,433 participating cemeteries. On Friday, November 9th, in conjunction with Veterans’ Day, Hammond Lumber Company will begin a five-week fundraising effort by participating in RED Friday, which allows us to: REMEMBER EVERYONE DEPLOYED. Our employees will be proudly wearing co-branded RED t-shirts or sweatshirts each Friday from November 9th to December 7th. 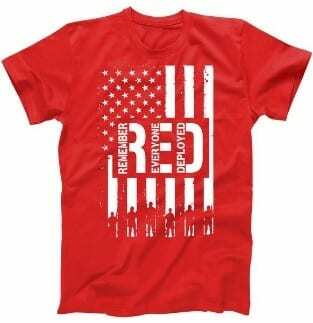 Family members, friends, and customers can also join us and receive a t-shirt by making a $25 donation. 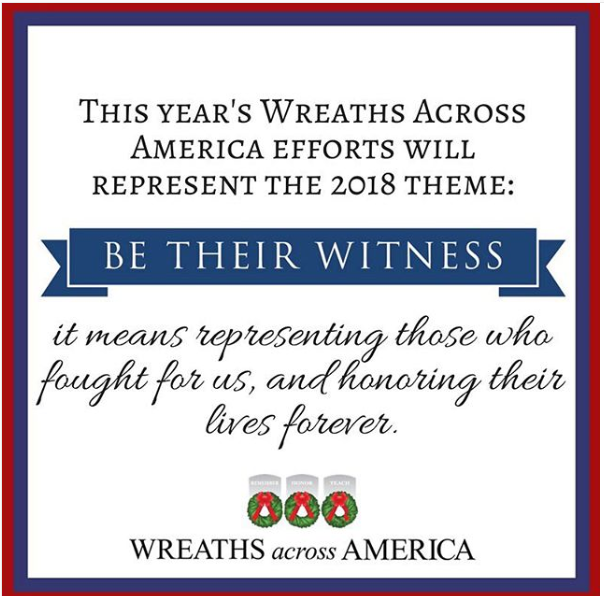 All funds will be used to purchase wreaths for distribution at the Veterans’ Cemeteries in Augusta on National Wreaths Across America Day, scheduled for Saturday, December 15th, 2018. Wreaths can be sponsored “in honor of” a living veteran, or “in memory of” a fallen hero. On Sunday, December 9th, the Hammond Lumber Company chip trailer will travel to Harrington Maine to participate in the first leg of the Wreaths Across America convoy to Arlington. The Wreaths Across America convoy will leave Narraguagus High School in Harrington at 8:00 AM. It will make a 2 hour stop at the Maine Coast Mall in Ellsworth at 9:15 AM and will then stop at Mount View in Thorndike until 1:00 PM. From there it will travel to the Augusta Civic Center for a rally from 2:00 PM to 4:30 PM. On Saturday, December 15th, anyone wishing to participate in the convoy and/or laying of the wreaths can gather at Hammond Lumber Company in Belgrade between 7:00 AM – 7:45 AM. 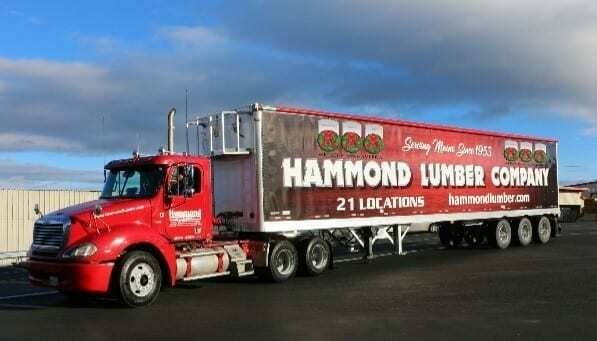 The Hammond Lumber Company chip trailer will leave Belgrade at 8:00 AM and travel to the Veterans Cemetery on Mount Vernon Road in Augusta (150 headstones) to unload the first delivery of wreaths. It will arrive at the Veterans Cemetery on Civic Center Drive (543 headstones) at 9:30 AM to drop off the second delivery of wreaths. Its third delivery will be at the Veterans Cemetery in Togus (5,373 headstones), at 10:45 AM. There will be an official ceremony at 12:00 PM at all three Veterans Cemeteries. We are waiting for more information from the Augusta Area Coordinator as to which sections of the cemetery we will cover. However, if you have sponsored a wreath and have a loved one in any of these cemeteries you may opt to personally place a wreath at their gravesite. Hammond Lumber Company is also making a donation of in-kind of materials needed to renovate what will be the WAA hospitality house for Gold Star families, veterans and volunteers who wish to visit the WAA headquarters. we thank you for your support and participation! We will provide you with more details as the events draw nearer. This is our opportunity to show our veterans and their families, by our actions and support, that we will not forget their sacrifice. To sponsor a wreath, visit in store or go online to make a donation!